We had a wonderful day today alhamdulilah! Writing: Today the students wrote what they would like to work on to perfect their prayers. Reading log: This weeks story is "Down to the Sea with Mr. Magee". Please follow the instructions given in the reading log. Science: We discussed skills needed while students are given presentations. Math: Students record subtraction stories as well as made up stories and showed their friends. page 93-94. - Ask your child to tell subtraction stories about people in your family. For example: " there are 5 people at home. When I go to school, there are 5 left. 6 take away 1 is 5." -Have your child tell you the story he did in class. Ask: " How did you think of that story? How did you decide how many to take away?" Art: Students are making a place mat.Students are working on their food group collage. They cut out food from food flyers and put it under the correct food groups. - Weekly homework was sent home today. - Tomorrow is the last day to submit the Hot lunch form. 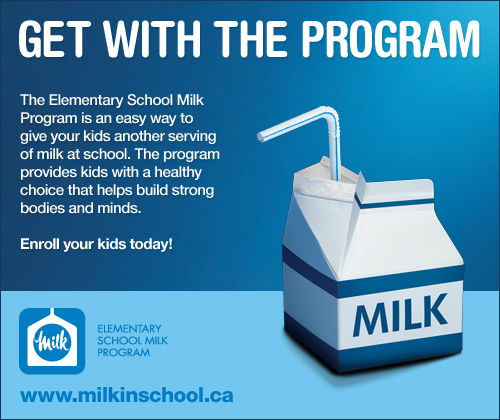 -Today students received a form for the Milk Program.